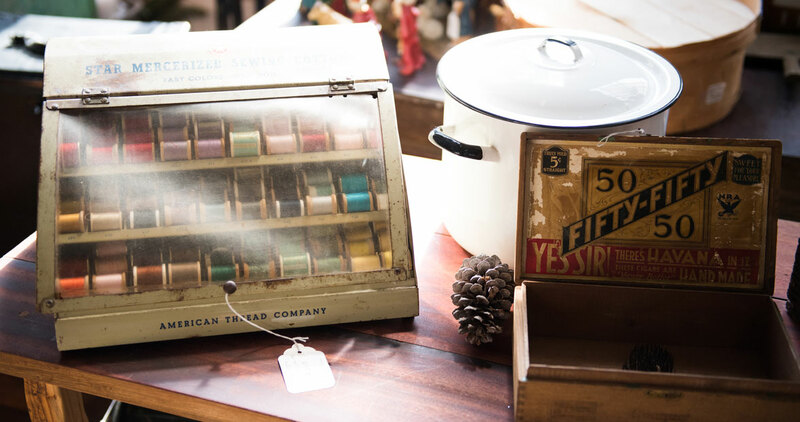 This centuries-old mill town in Cabarrus County is ushering in a brand-new era, proving past and present can live in perfect harmony. 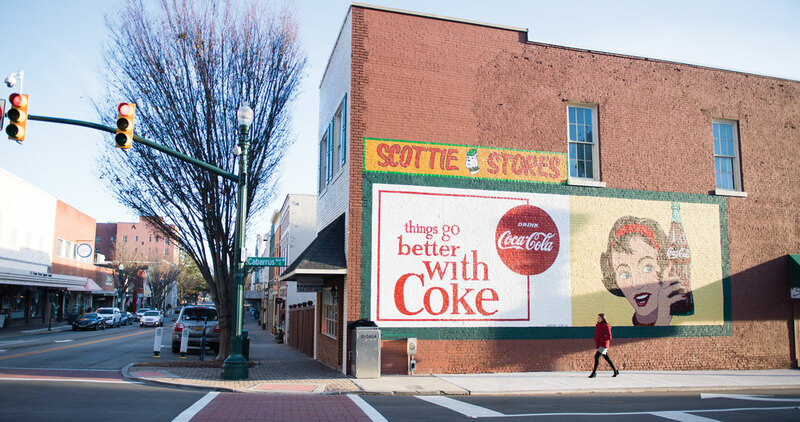 Photo above: Concord’s Coca-Cola mural, painted in 1966, was restored in 2011, and inspired 10 similar restoration projects across the state. Concord was built on cotton. In the 1800s, the crop helped turn downtown into a bustling center of industry — especially on busy court days, when Union Street was filled with lawyers and clients, farmers and townfolk. Today, inside the old county courthouse, former offices are filled with pottery instead of paperwork, and the courtroom features a stage instead of a judge. 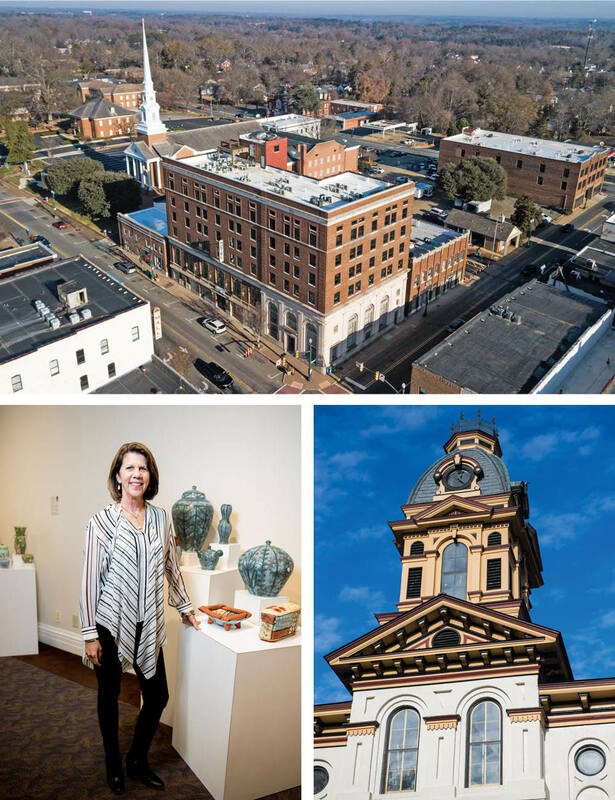 Now home to the Cabarrus Arts Council, the building exemplifies downtown Concord’s comeback: Its history is preserved and tended to, even as it’s reborn as something new. Take a stroll, and you’ll find the well-loved mainstays, but you’ll also find once-empty storefronts now occupied by sweet boutiques and freshly made gourmet donuts worth waiting in line for. 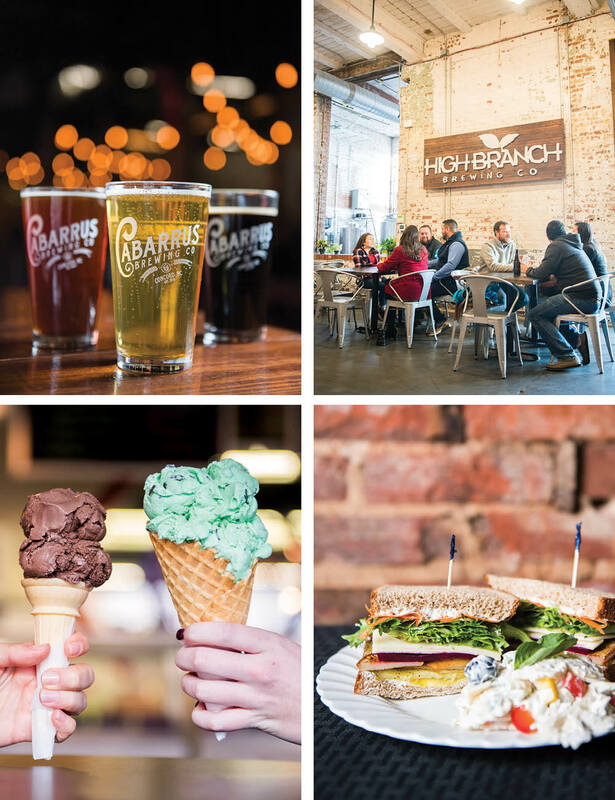 Nearby, a 100-year-old textile mill is alive once more with shops, breweries, and food trucks — yet, like Concord itself, its beams and bricks, its rich history, remain intact.